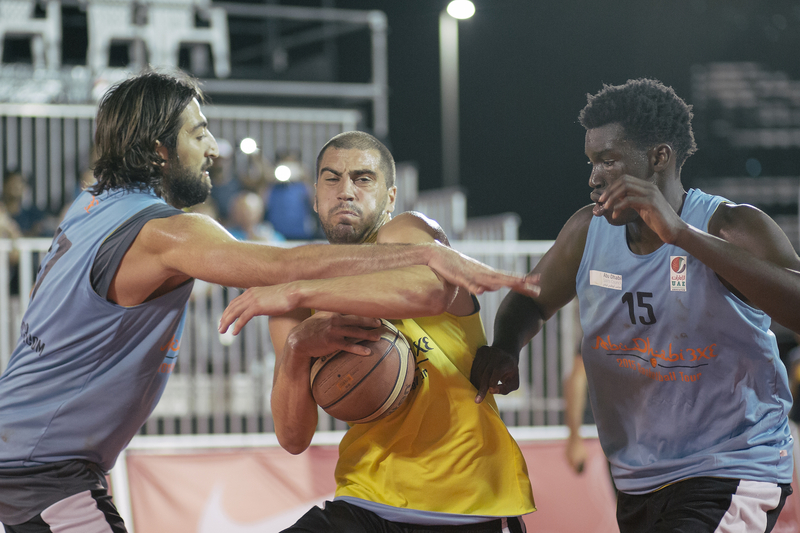 The first season of Abu Dhabi 3×3 Basketball Tour came to an end on Friday evening, after a series of four scheduled events and one Final, spanned during a two month period. The winners of the Open Men Category, that will represent Abu Dhabi in the FIBA 3×3 World Tour, were the players from Team Al Wahda Abu Dhabi, the last year champions in the World Tour. 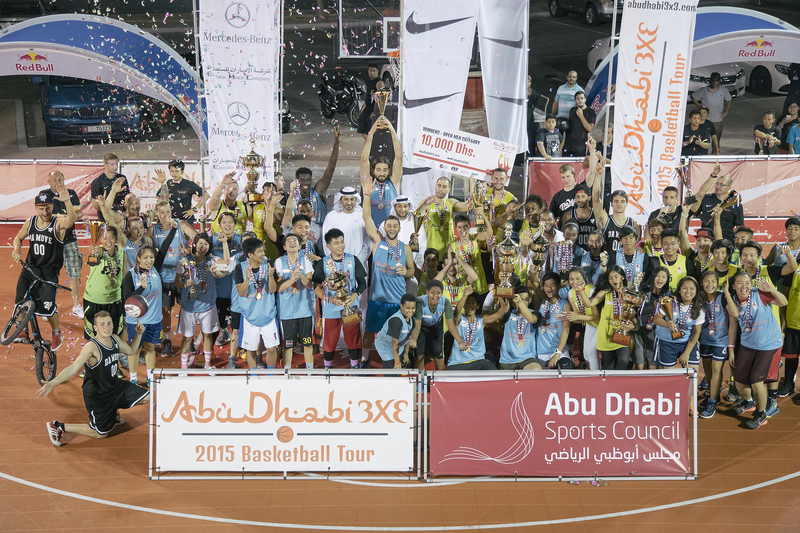 Al Wahda Abu Dhabi Team defeated Team The One in the final, 21-12, making their way for yet another year to the most important 3×3 basketball competition, the FIBA 3×3 World Tour. Al Wahda qualified for the Beijing Masters, 15-16 August. On the other hand, The One was one of the most consistent teams, being part of all tournaments from the Tour and offering every time solid performances. The spectators enjoyed an electrifying evening, with competitive basketball games and top class entertainment provided by Da Move Crew, one of the best freestyle teams in the world, who got a little Italian flavor to the event with their last performance. Taking the challenge from Da Move was the other entertainer, Masato Ito, the BMX Performer, that amazed everybody with his bicycle skills. Almost 50 teams and 200 players were part of this competition, that reunited only the qualified teams from the previous three tournaments. Even the tour scheduled four stops, unfortunately Al Ain had to be cancelled due to bad weather conditions, and will be rescheduled for the autumn season. The Abu Dhabi 3×3 Basketball Tour will take a summer break and will be back in October, when Abu Dhabi will host the most important event of the year, the FIBA 3×3 World Tour Final. Top teams from all over the world will came to Abu Dhabi, in their quest to conquer the most coveted title in the 3×3 basketball. The 3×3 basketball programme will continue with the support of Abu Dhabi Sports Council and its partners, UAE Basketball Association, Sport Arena and Extra International Sport and with the help of our sponsors: Nike, Mercedes Benz – Emirates Motor Company and Red Bull. 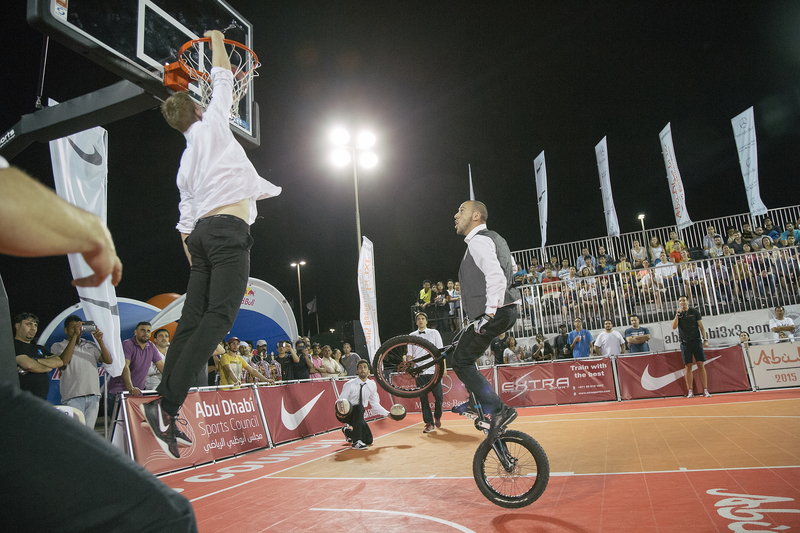 Next week, 14-15 of May, don’t miss Abu Dhabi 3×3 Challenger, in Yas Mall. The international tournament will put face to face the best teams from UAE, other GCC countries and Europe.